Just bought XR, advice on insurance? Wondering if anybody has any advice on this. 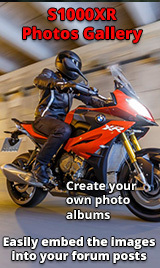 I have just bought a 16 plate S1000xr and I am really struggling to get insurance for it. Frustratingly this looks like it is due to my age (24) but I have 8 years no claims, 7 years clean motorcycle license and the cheapest quotes are around £1400. Looking at around £1700 for fully comp with protected no claims etc. my current bike costs £115 a year fully comp so I dont know where these figures are coming from. When I put my age to 25 it drops to around 500, but I just find it crazy that the price difference is so much just depending on age. My thoughts are to put it on laid up insurance until I turn 25 (only 4 months away) since it is coming into winter anyway. Has anybody got any experience with laid up insurance or any companies that you would suggest? Re: Just bought XR, advice on insurance? I'd definitely go down the laid up insurance and then you can check again when you're 25 and able to get a decent deal. I assume you are keeping the other bike ( which model ? ) and can carry on riding through winter ? Might be worth trying RAC if you haven't already - did me a great deal. Thanks for the replies guys, I have a week to sort it before collecting the bike so I will let you know what happens. Fell in love with the bike as soon as I first saw one and after a test drive I couldnt not have one, coming off a tiger explorer 1200 so will probably write up a wee comparison when I get insurance sorted. How does a 24 year old get an Explorer insured for 115 quid. Third Party only (No fire or theft).......... ? Been with Carole Nash for 8 years and had the tiger since 2013, was paying around £350/year until this year when they offered £115, admittedly thats also for less than 1000 miles/year, locked garage with cctv with alarm and tracker fitted to the bike, and 2 other named riders (both ex police). Not expectng anything like that price again but didnt expect the XR to be as much as they are quoting. Phoned CN and in all honesty I prefer them(but we have had our disagreements) because they deal with Equity Red Star so consequently don’t get so sniffy if you have changed a light bulb different from stock(most do) after much huffing and puffing paid £400 this year it went to £500 i’ve No doubt with some phone calls could get it cheaper but as I said earlier they don’t get their knickers in a twist with a few bits and bobs added a lot do.